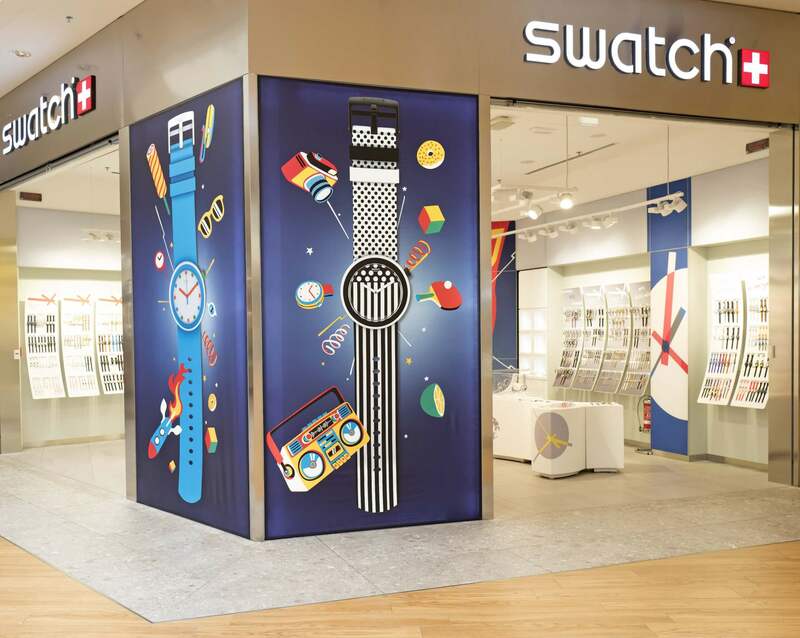 In brief: Swatch Group has hassled individual smartwatch face makers with C&D notices in the past with some success. Now it is taking on industry giant Samsung over downloadable complications (smartwatch speak for watch faces) that resemble iconic and, more importantly, trademarked dials of its many watch brands. Less than a week ago Samsung revealed the new Galaxy Watch Active at its Unpacked event. Now Swatch Group, who manufactures Tissot, Omega, Rado, and Swatch branded watches is suing the electronics titan for trademark infringement. The watchmaker alleges that downloadable faces for Samsung’s Gear Sport, Gear S3 Classic and Frontier smartwatches look identical to several of its own trademarked watch dials. Swatch’s filing is asking in excess of $100 million in damages claiming unfair competition and business practices. It filed the suit in the US District Court for the Southern District of New York because it says the United States where its trademarks are registered. “This unabashed copying of the Trademarks can have only one purpose — to trade off the fame, reputation, and goodwill of the Swatch Group Companies' products and marks built painstakingly over decades,” the filing reads [PDF]. This latest complaint is not the first time Swatch has taken action against potential digital violations of its physical trademarks. Back in 2014, the watchmaker was one of several companies that issued takedown notices to several sites that hosted smartwatch faces that allegedly violated its copyrights noted Engadget. However, this is the first time it has filed a formal lawsuit over the matter. While Swatch Group brands primarily manufacture traditional watches, the company has dabbled with smartwatches in the past. In 2015, it launched a Swatch brand watch, which was not smart but supported NFC mobile payments. In 2016, it introduced the Tissot Touch line of watches. Samsung smartwatch owners can swap out faces via its Galaxy Wearable app. It also has a face designer app in beta that allows developers to create custom faces. It is unclear if the complications in question are Samsung-created or ones uploaded by third-party designers.